Any guess about what's the most popular post of all time on Yalla Y'all? Why, it's the 2011 Silk Road Track schedule at Dragon*Con, with 764 page views! Clearly there are lots of people out there who are interested in what's happening in the Asian arts segment of Dragon*Con, which includes Japanese crafts, martial arts, Asian film, and several forms of dance -- as well as a show on Saturday afternoon that usually features a number of belly dancers from metro Atlanta and beyond. This year's Silk Road programming will once again include a workshop with a dear friend of mine, Natakiya, who is (among many other talents), a master of creating adorable and tasty bento. Learn about the history of bento boxes and how to make super-kawai meals Saturday at 2:30! Meanwhile, check out Natakiya's Bento Anarchy blog for lots of amazing and amusing ideas for vegetarian bento. Here's this year's schedule. Everything will take place in the Piedmont room at the Hyatt. For more details on all these sessions and teachers/panelists, visit the Silk Road Track web site or join the Facebook group. One of the loveliest props we use in belly dance is the veil. Silk veils, chiffon veils, fan veils, veil poi... rectangles, half-circles, multiple veils... spinning, wrapping, unwrapping... it's amazing how a piece of fabric can enhance a performance. It's also amazing how easy it is to get tangled up in a veil mid-performance if you don't have your technique down (and sometimes even if you do). We call it "When Veils Attack!" This week, there are two new opportunities to polish up your veil skills and get a great workout too. Starting this Thursday at 8:00 p.m., Ziah will start a six-week veil choreography course at Dance & Arts Showcase (near Mercer University). Learn Awalim's dramatic choreography to Turku's "Aman Avci" during the Boot Camp class! This choreography was developed as an upbeat opening number for Awalim's tour with Turku. Click here to register! 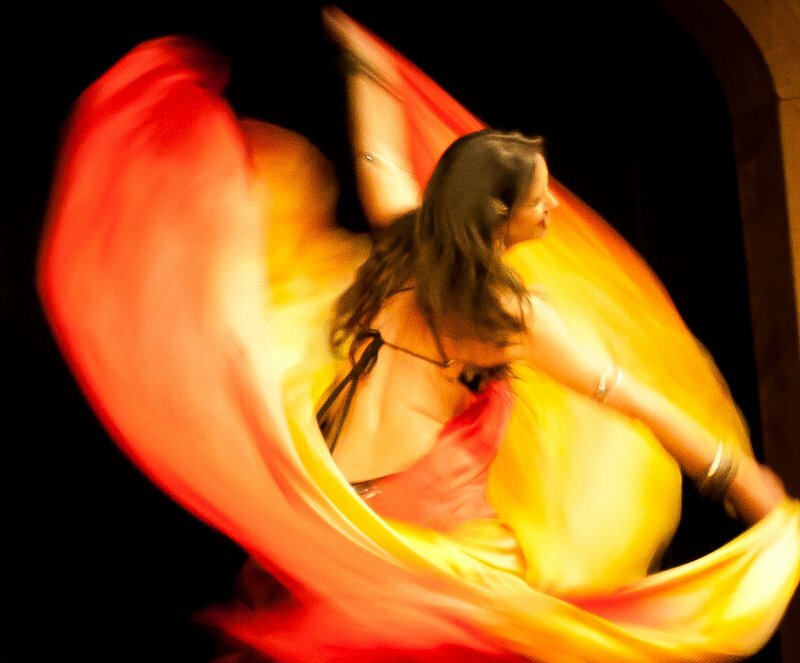 This Saturday at Atlanta Fusion Belly Dance, from 2:00 to 5:00 p.m., join Diana for a VeilRobics and Finger Cymbal Workshop. 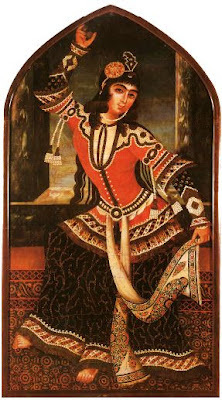 The beauty and grace of belly dance meets the aerobic workout of dancing with a veil! Learn how to get a great low-impact workout using this beautiful prop. Plus Diana will share tips for improving your finger cymbal skills. Bring a veil -- or if you need to borrow one, there will be some available. Advance registration is just $30. RSVP to the Facebook event for the latest news about this workshop.